Well, we always try different kinds of apps on our Smartphone. After using all those apps, we don’t even care to uninstall it. In this case, those apps keep running in the background and also loads during the startup. These things can considerably affect your Android’s performance. 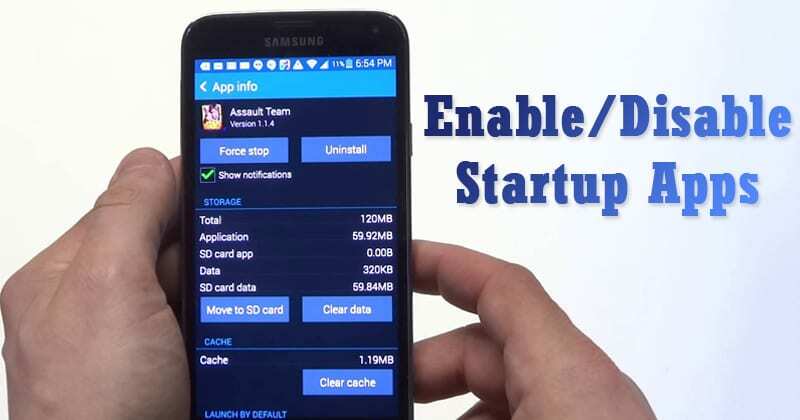 So, to sort out this issue, we have discussed an easy method that would help you to enable or disable startup apps on Android. Using a boot manager tweak of the android Xposed installer, you actually installed the app that will let you to manage all the startup apps of your android. And if you disable all the unnecessary apps then you can make your android faster to perform better. So have a look on steps below to proceed. Step 2. Now you need to get the cool Xposed module that is BootManager in your Android device and enable it in the Xposed installer. Step 3. Now launch the app and you will see a list of all the apps that are being installed on your device. Now choose all the apps that you want to only gets enable on startup by just tapping on them. Step 4. Now click on done and the bootManager will run the command to set them at the startup apps. That is it and you are done, now those apps will now being set a startup app and will execute faster at the time of opening them. I guess I know how to enable them now. I can use these tricks in the future. Unblock yourself from a blocked WiFi network [ Latest ] Root Required !